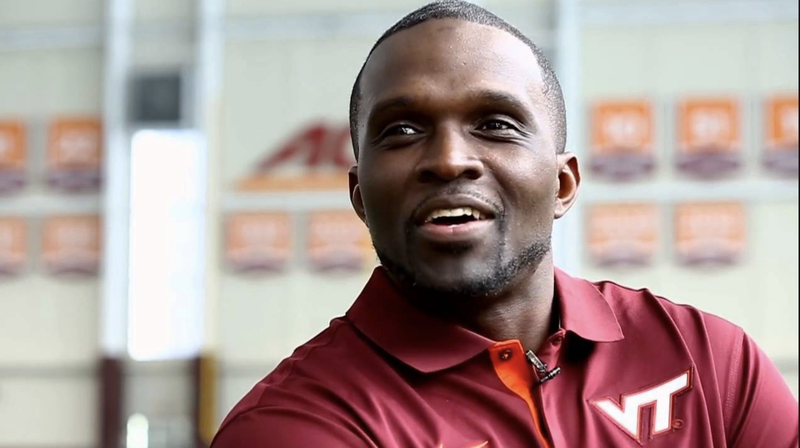 A Virginia Tech assistant football coach resigned after emails and social media blasts accused him of having an extramarital affair. An email sent to Virginia Tech and the Times-Dispatch detailed the alleged affair. Scott, who is married with two children, told the Times Dispatch that not every detail in the email was true but that his behavior was inappropriate, and that was why he was stepping down. The bizarre story began to unfold around April 23, when tweets were posted from a public Twitter account, @Diggy1973. Yes, the account name was a shoutout to Diggy Simmons, Rev. Run’s rapping son. I don’t know what Diggy has to do with this or anyone who openly loves Diggy Simmons; nonetheless, someone claiming to be the husband of the woman allegedly involved in the affair with Scott began contacting everyone with accusatory tweets. Tech announced Scott’s resignation Friday. Scott was the fourth-highest-paid assistant on the staff and would have made $338,000 this season. Scott told the Times-Dispatch that beyond hurting his family, he doesn’t know how he’s going to be able to put his life back together.